HE’S THE ONE WHO TRAINED THE DUI PROSECUTORS! 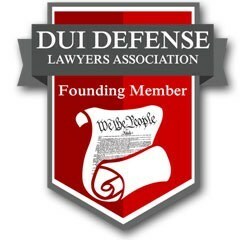 Lots of DUI attorneys talk about being “former prosecutors.” But Elliott brings a unique insight into defending your Tampa DUI, because he isn’t just a former prosecutor… He’s the one who trained the prosecutors (and the police!) 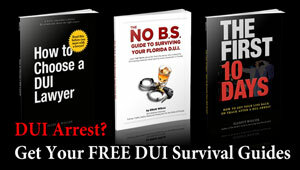 how to handle DUI cases. 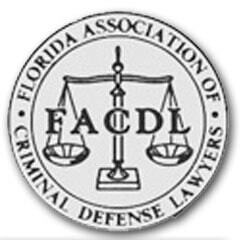 For more than a decade, Elliott was a featured speaker at every DUI Trial Advocacy School, which is Florida’s premier training program for prosecutor DUI training, and was awarded the Florida Prosecuting Attorney Association’s “Distinguished Faculty” award. Elliott was one of the first two Traffic Safety Resource Prosecutors for the entire state of Florida, and was responsible for handling the DUI training of prosecutors and law enforcement officers around the entire state. Elliott can anticipate how your police officer and prosecutor are going to strategize their case for court, because not only did he train many of them, he created the training materials and videos that they still rely upon today! Now, you can take advantage of the unique insider’s knowledge that Elliott brings to the courtroom to protect your rights and defend your Tampa DUI case. Elliott dedicates 100% of his courtroom practice to defending drivers like you who have been accused of a Tampa DUI, and isn’t afraid to fight your case all the way to a winning verdict. 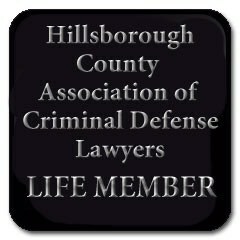 It helps if your Tampa DUI lawyer doesn’t scare easily! 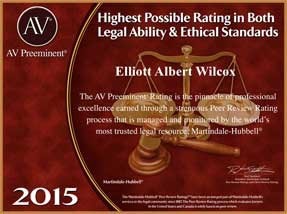 Elliott Wilcox has received the highest rankings from AVVO (10 out of 10, “Superb”), and the distinguished Martindale-Hubbell Rated A/V® (“Preeminent™”). 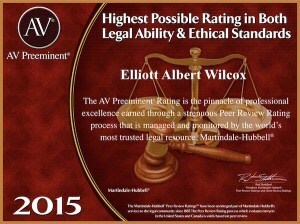 The “10″ rating indicates that he has been widely recognized by the legal community for superb professional conduct and experience, and the A/V Preeminent Rating is the pinnacle of professional excellent earned through a strenuous Peer Review Rating process. 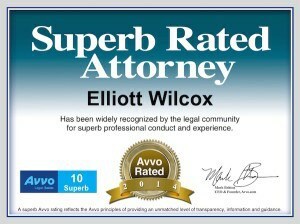 These are the highest rankings that an attorney can receive from both organizations. Elliott has gained an international reputation for his courtroom skills. He has handled thousands of cases, invested more than 10,000 hours in the courtroom, and served as the lead trial lawyer in about 200 jury trials. In addition to his courtroom work, Elliott is the author of The Complete Trial Lawyer Success System, Quotations for Trial Lawyers, and The Trial Notebook. 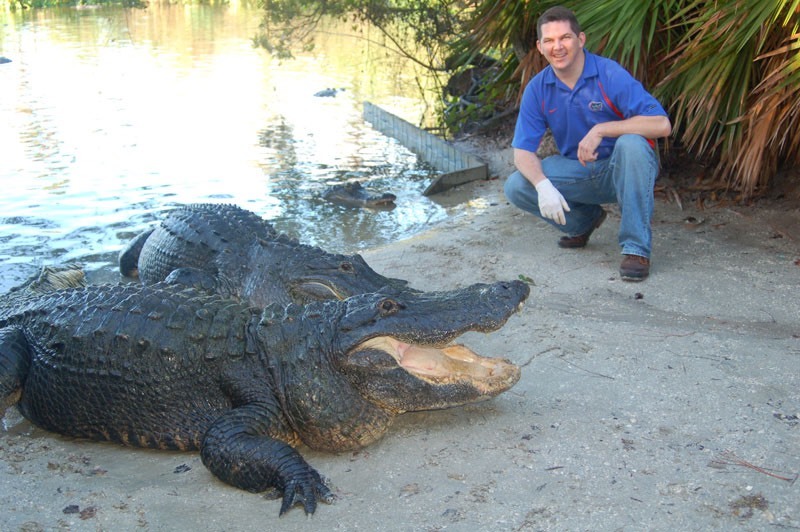 He publishes the weekly Trial Tips Newsletter, a courtroom skills publication read by more than 12,000 trial lawyers around the world, and has had his articles featured in Trial magazine (July 2008 cover article), Florida Bar News, New York State Bar Journal, and the OCBA’s Briefs. An adjunct professor of trial advocacy since 2005, Elliott has taught hundreds of law students how to win in the courtroom, and has coached more than a thousand trial lawyers how to take their courtroom skills to the next level by using his “Winning Story” techniques during trial. Elliott is a sought after speaker who has taught both local and national groups of attorneys how to win in the courtroom. 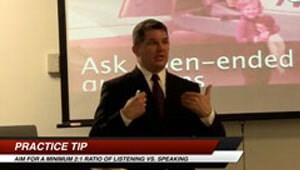 Elliott’s presentations on “Getting Jurors to Talk,” “Telling the Winning Story in Opening Statement,” “Winning with Direct Examination,” and other courtroom skills have been used to create training programs for entire offices of attorneys, and you’ll find his training materials in the library of many local attorneys. 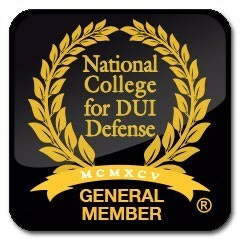 Elliott is a member of the National College for DUI Defense, a life member of the Florida Association of Criminal Defense Lawyers, a founding member of the DUI Defense Lawyers Association, a life member of the Hillsborough County Association of Criminal Defense Lawyers, and a member of the American Association for Justice (formerly the American Trial Lawyers Association). 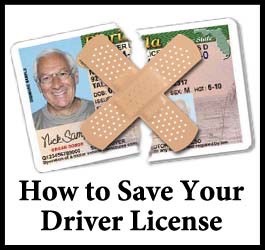 Elliott exclusively limits his trial practice to defending drivers accused of DUI, and accepts a limited number of clients each month to guarantee he can invest enough time on your case.